Looking for some wintertime fun in Ottawa? Look no further than Winterlude, Ottawa-Gatineau's annual festival celebrating the winter season, currently going on its thirty-ninth year. Bundle up and find out why this iconic festival is an essential stop for anyone visiting Ottawa this February. For three weeks in February, Winterlude transforms Ottawa-Gatineau into a winter wonderland. Events are held at iconic locations throughout the Capital, providing locals and visitors alike the chance to enjoy the city. See breathtaking ice sculptures at Confederation Park's Crystal Garden, spend an afternoon on the Super Slides in Jacques-Cartier Park, or go ice skating on the famous Rideau Canal. And the best part? The majority of Winterlude events are free and easy to get to. "We've tried to make the festival as accessible as possible," explains Katherine Cyr, spokesperson for the Department of Canadian Heritage. "We offer a free bus service that goes between all of the sites, so it's really easy to get around." Winterlude is a festival focusing on fun in the wintertime. "It started as a way to have a celebration at the worst time of the year," says Cyr. "Wintertime in Canada is cold, so we take advantage of what the city has to offer during the winter." Ice skating, outdoor slides, a giant zip line, and ice sculptures are just a few of the ways that visitors can get outside and make the best of the cold weather. 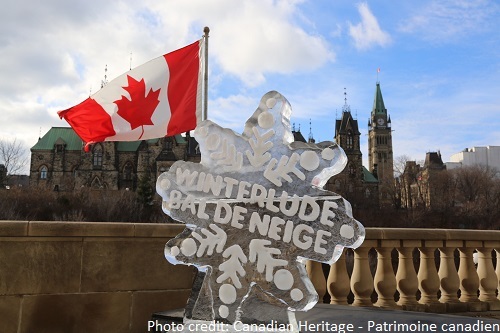 While the weather can often prove challenging, Cyr explains that Winterlude is prepared for some of the worst a Canadian winter can offer. "We're getting better at making sure that we can hold as many activities as we need," she says. "Sometimes we need to change things up, and we always have to be flexible." Cyr also cautions visitors to use common sense and dress for the weather. "If you want to benefit from all of the activities, make sure to pack warm boots and your snow pants." At its heart, Winterlude is a festival for families. "People in Ottawa love their city," Cyr explains. "They love their festival and want to get out and enjoy the city with their families." Snowflake Kingdom in Jacques-Cartier Park is the central location for kid-friendly activities. "It's fun to be a kid again and go down the super slides," Cyr says. 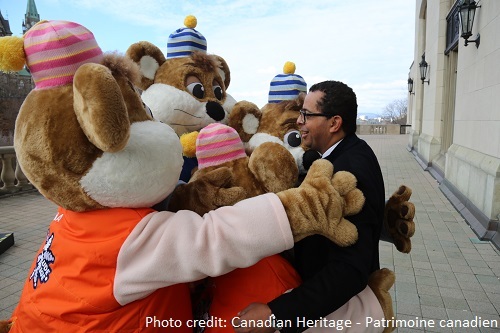 Visitors might also bump into Winterlude's beloved mascots, the Ice Hog family. Winterlude features dozens of unique events and activities, and Cyr advises that visitors check the schedule before attending. "We want to make sure that people don't miss what they want to see," she says. "A bit of planning beforehand will make all the difference." 2017 marks the 150th anniversary of the Canadian Confederation. In honour of the sesquicentennial, Winterlude 2017 will be particularly special, adding a variety of new events and improving old favorites, all while incorporating the "Across Canada" theme. The annual Ice Carving Competition, for example, will prominently feature winners of the Canada Cup, and the Sub-Zero Concert Series will highlight Canadian artists. "For Canada 150, we're making things even bigger," Cyr explains. "In Snowflake Kingdom, we're adding a fifth slide, a giant Canada 150 maze, and a zip line that's twice as big as we used to do." Winterlude will also feature a number of exciting new events this year. The new Ice Dragon Boat Festival in particular promises to be a highlight. Teams will gather on the Rideau Canal and race unique dragon boats across the ice. "This is the first time this event has happened in North America," Cyr says. 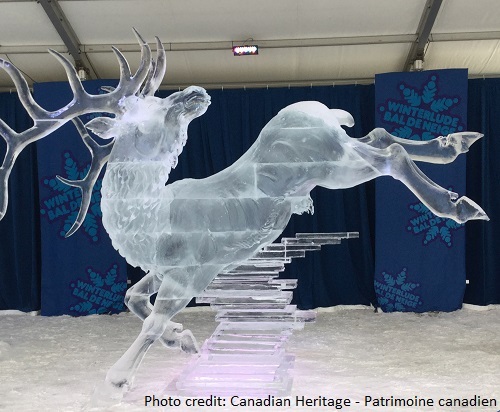 "It will be the biggest in the world and will be held during the last weekend of Winterlude. During signups, it sold out in ten minutes." Such a conclusion to the festival seems appropriate, combining new events with favourite traditions to create something uniquely Ottawa. "People in Ottawa have always had boat races in the canal during the summer," Cyr says. "That's something that's very popular in the region, so this isn't really that far away from that. It's a chance for people to gather by the canal." Winterlude 2017 runs from February 3 to February 20.